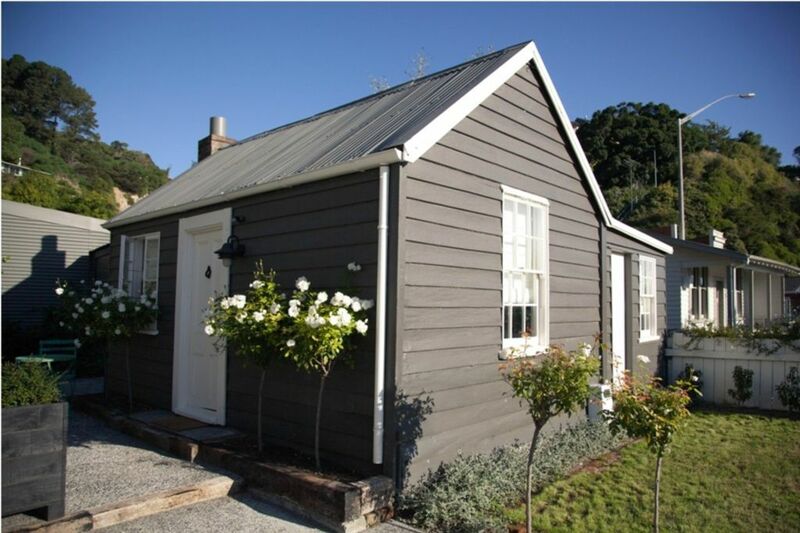 The Shepherd's Cottage, located in Ahuriri, Napier, was built in the 1850's and has a Category II rating with the New Zealand Historic Places Trust, is one a Napier's oldest dwellings. This one bedroom, 35 sq mtr, fully self-contained, secure cottage provides accommodation for two (the rate includes first day breakfast provisions). With a safe swimming beach a 2 minute walk away, Napier’s Art Deco just over the hill and both the Hawkes Bay Trails as well as Ahuriri Heritage Walk starting literally at your front door the Shepherd's Cottage is ideally located for that truly private escape! The Shepherd's Cottage has off street parking and a secure lock up available if you have brought your bikes to hit the trails. Close to many of Napier’s tourist attractions including, Ocean Spa Hot Pool complex, the MTG to name a few, and handy enough to the Napier I-site, so you can find out some more. Stay in a little piece of History, with all the comforts of home! Lovely Quaint cottage, loved it!!! A perfect cottage & wonderfully set up for guests. Book it now! This was my 4th stay at the shepherds cottage and it was fantastic. It is such a great spot to stay as everything is so close. Cycle ways, cafes, a beach a short walk and the bus across the road that takes you straight to Napier. The cottage is always beautifully presented, clean and has a great relaxing feel about it. Highly recommended. Lovely clean and tidy house, great location! Only potential for improvement would be a door on the bedroom for more privacy if more than a couple staying. Otherwise very happy with the accommodation and communication with the owners. Secure parking and perfect location with the added bonus of visits from the friendly neighborhood cat. 😀 Great price too!